I should mention, for context's sake, that my first single-malt was Laphroaig 18-year, which I absolutely love. I adore that camp fire meets early morning gas station odor and flavor and don't find it off-putting at all. 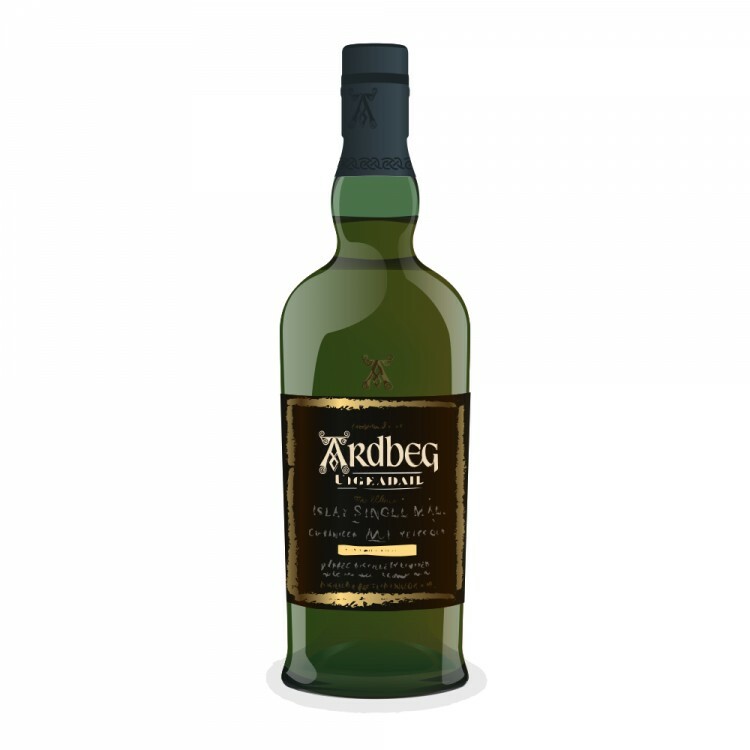 In the interest of broadening my horizons, I researched and decided to try Ardbeg Uigeadail next, since everyone says such great things about it. I find that the peaty smokiness is far less pronounced on the nose and there is a distinct burning that comes from the alcohol and makes it difficult to ascertain what's going on underneath. On adding a splash of water, strong med kit odors come out. I noticed scents of bandages and Neosporin. On the tongue, it has a pleasant warm oiliness but again, the alcohol seems to really cut right through and overpower the experience. After adding water, I taste nothing but Band-Aids. Quite unpleasant, really. I won't be using this for anything but Munro baggers. I feel like in terms of complexity and character, the Laphroaig 18 year is much more enjoyable. If you want the most smoke that you can possibly get, this bottle won't deliver. Again, my palate is not the most sophisticated but I still get absolutely no inkling whatsoever of the Christmas flavors people rave on about. The post 2011 recipe is not the same. I bought a 2012 bottling and was also disappointed. Carlo - you my friend, and I are in the same boat. After reading rave reviews I went ahead, and purchased 3 bottles without even having tasting the whisky - a poor choice on my behalf. I too scratch my head as to what others find in this whisky; alcohol burn, and bonfire smoke was what mine comprise of...How's that tasty? As far as I'm concerned their Islay rivals Lagavulin is vastly superior in every way. Not more than a few weeks ago I was very lucky in finding a local merchant willing to exchange my last un-opened bottle in exchange for 2 Balvenie 14 yr Caribbean Cask; I darn near had a 'leap of joy' as I exited the store after the transaction. All 3 bottles are from early 2012; very disappointing indeed! rigmarole - Of the 3 bottles I purchased online - 1 was consumed; 1 has 3/4 left, and my 3rd was traded for the Balvenie. I'm just happy as a pig in poop that I was able to make use of my last bottle in an exchange with a local merchant! @carlo, do you have a batch number for your bottle? The L number in small white on the back. The Uigeadail can very quite a bit from batch to batch. @rigmorole, @FMichael - Thanks for the feedback, I'm glad it's not just me! @Nock - It's L13 058. I'm guessing the first number is the batch and the second the bottle? I never had a Laphroaig 18 yo but I usually find the Laphroaig more medicinal then the Ardbeg. So I am puzzle by your comment! Haha, I just stumbled upon this review. I can completely see where Windex! 's review is coming from. I started drinking whisky a couple of months ago and ordered and tasted 20 bottles since. 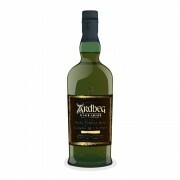 The only one I started with and I had difficulty with, was the Ardbeg Uigeadail. So I only tried that one dram, being disappointed on how it tasted and wondering whether I was just not ready for a heavier peated whisky. Sticking to Glendronach revival 15y, Nikka and other smooth whiskies I was taken by the Springbank 10y. After 2 bottles I decided to give my Ardbeg another try tonight. My god, what a difference. I added a few drops because I was scared I would not like it without diluting the smoke and peat, but something has changed. I now LOVE this whisky! Though the bottle -less one dram- has been open for 2 months, I think the biggest change has not been taking place in the bottle of whisky, but in my appreciation of this dram. So my advice to non-peat and smoke lovers would be to take one step of a time and begin with Springbank (or another lightly peated/smoky whisky), see if you like it, and step up to the more heavier peated whiskies. No problem if you can't appreciate them, but you should at least try, because there are some peated whiskies out there that are definitely worth it.